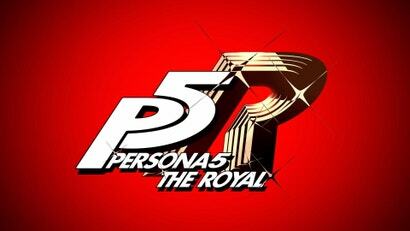 Atlus has officially revealed Persona 5 The Royal, a new RPG coming to the PS4. The trailer features a new woman who seems to be the playable character. The game was originally teased as Persona 5 R.
More news will be announced during the “Persona Super Live: P-Sound Street 2019: Welcome to No. Q Theatre” concert on April 24, 2019. It's not really a reveal though, is it? It's an announcement that they're making an announcement in a month. Well, its a reveal that all the people that insisted R was for Ruby were completely wrong. If it is actually a new game as the article suggests, then I wouldn't expect an upgrade option. While they have done enhanced editions of previous games, that's usually been for done for ports to new platforms. We don't know what this is yet, just that it's on PS4, but IMO it's pretty likely that there will be an upgrade option. If it is an expanded re-release (along the lines of Persona 4 Golden) maybe with a female protagonist option (eg P3P) they would probably try to re-sell it, since the additional content ends up being sprinkled throughout the game and is much harder to patch in. But since it's on PS4 and currently looks like it might be staying exclusive, trying to re-sell an expanded version of the game to an audience that largely already owns it is an uphill battle. It'd be different if it was also coming to Switch and/or PC, but PS4-only they'd be cutting off too much of the market if they didn't offer an upgrade path IMO. However based off the digging that people have done on the teaser, what seems more likely is that it's some kind of quasi-sequel or extra chapter, along the lines of Persona 3 FES. If that's what it ends up being, there's an even better chance they'd offer the extra content as effectively DLC. But is this coming to PC? Man, I hate that logo. It looks like they stole a Rockstar R from the 90s.